All of a sudden, it seems like you can’t have enough USB ports. You’ll probably notice USB-enabled outlets in your local home store, and for good reason: Pretty much everything you really want today charges from the USB port, and that leaves you wanting some way to make better use of the outlets you have, especially in a hotel room. 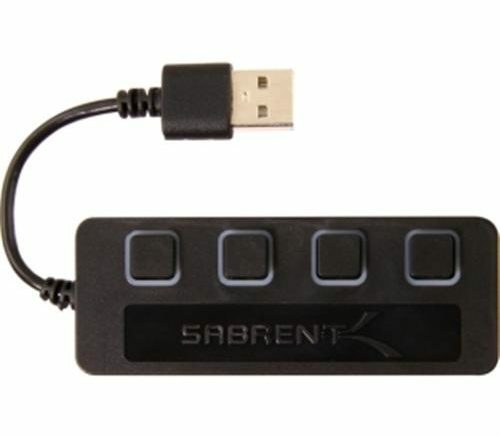 You might be tempted to use something like the super-inexpensive USB hub you see above, reasoning that after all it does take one USB port and multiplies it out to four. However, it probably won’t work. Without a power adapter, there probably isn’t enough power flowing through each of the four ports to charge your devices effectively. After all, your typical USB connection, whether from a wall wart or computer, supplies one amp of power and splitting that four ways gives each port only one-quarter amp, enough power for data to transfer from a device but not enough to power it. Using a 2.1 amp charger isn’t recommended for a USB hub… it isn’t designed for it and will shorten the device’s life. If you find a powered USB hub that plugs into the wall, it will usually supply power to all the devices, at least enough for a smartphone if not a phablet or tablet. What you really want to use is something like our Tech Choice wall charger, which is specifically designed to give you a nice strong power source for all your electronics. That’s the right choice especially for traveling, unless you’re really serious and you need something like our Belkin 10-port charger. It’s seriously pricey but hey, if you want to charge ten tablets from one outlet, you’re going to need a serious piece of hardware. So what of those USB outlets? Nothing wrong with putting them in if you’re handy enough to change an outlet, but keep in mind that most of them only put out one amp of power, not the 2.1 amps required by tablets and larger phones. The last thing you want is to spend time and money changing something in the house only to find that it doesn’t do what you need. And besides, this current trend of using USB won’t last forever… technologies change and do you really want to replace that outlet again? Do you really need gigabit to the home?